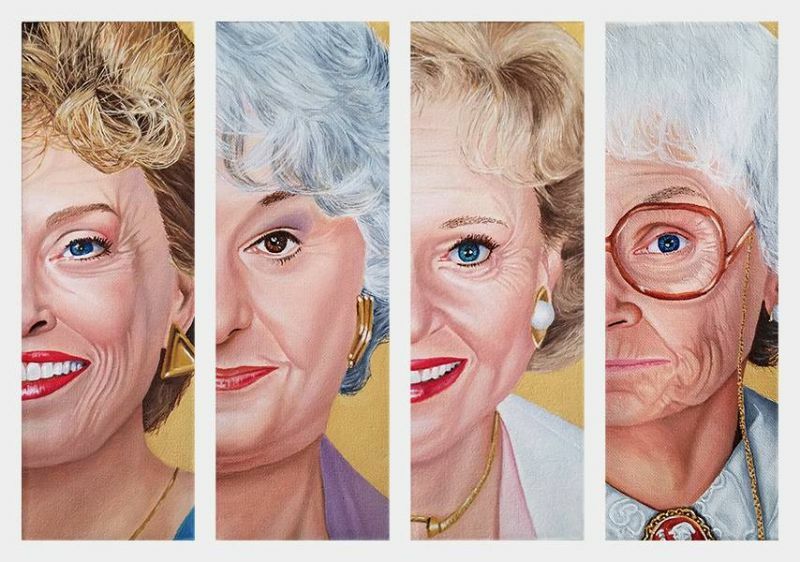 The Golden Girls, each 12x4, Oil on Canvas joins my latest Celebrity Paintings. 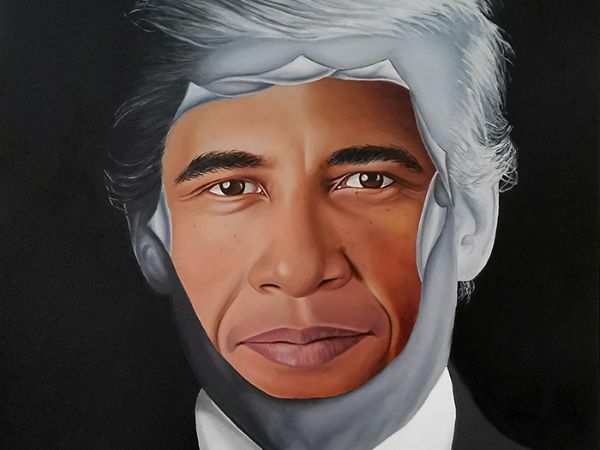 Each are separate paintings that together form the complete cast of the hit TV show. Prints are available as one poster as shown here. Click below to purchase. 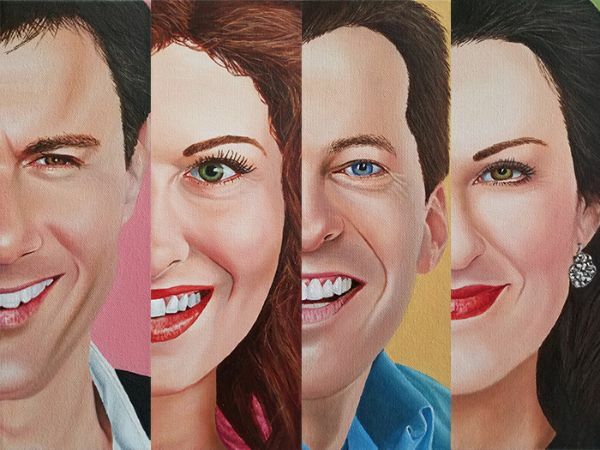 Celebrity Portraits of the hit TV sitcom, "Will and Grace" that aired from 1996 to 2006. Adding a voice with other artists in resistance and defiance of this presidency. On the surface, the painting looks like one angel fighting or expelling another angel, but it is so much more. 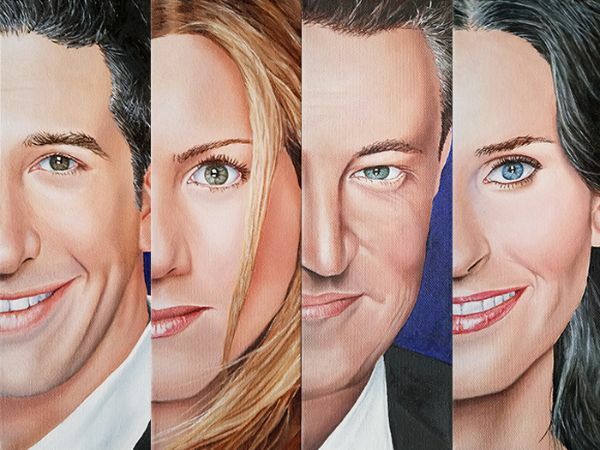 Celebrity Portraits, this time the cast of "Friends", the hit TV series that aired from 1994 to 2004.